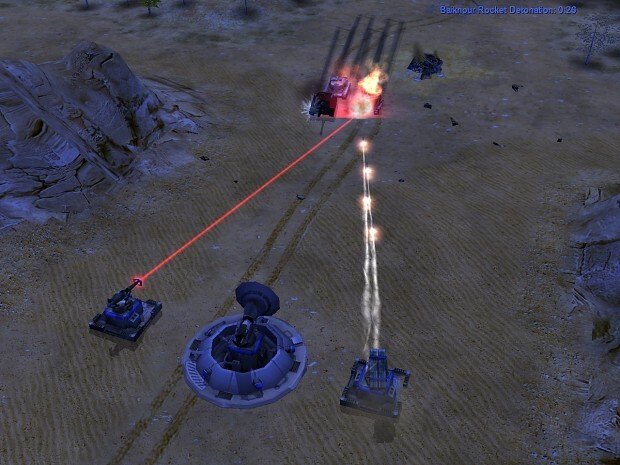 Lethal Tanks is a mod that focuses on tank and vehicle warfare in the realm of ZH. It adds many new units, new structures and powers. The ability to build infantry (except some special units) is now reserved to only one special general, which in turn, is unable to build any tanks. Furthermore, artillery units have been heavily nerfed so that they are very much unsuitable for offensive campaigns. So, no longer can you win a game by amassing scud-launchers. There is also a penalty for building air-untis, and bombers are only suited for attacking buldings and base defences, not tanks. This mod contains some of the best stuff from my other mod Destructive Forces, but gameplay and factions are not the same. The goal of this mod is to create a well balanced mod, with an advanced tech-tree, making you think twice before you start researching that particular upgrade. -Has access to a wide variety of advanced tanks and vehicles. Can process several upgrades that enhances units fighting abilities. Great intelligence and defenisve options. -Can field lots of different laser-tanks and vehicles. Even the air units are laser-based. However, all units require power so this general is vulnerable to power outages. -Can build several fast, advanced and agile tanks. Also has good intelligence capabilities. -All about size and firepower. This general can build a variety of super-heavy overlord tanks. Might be a bit difficult in the early game, but in late-game sessions this general will excel in firepower. -Road to success lies in cheap and fast to produce tank designs. GLA also has the ability to make all base defences stealth. GLA will also be able to produce fighter planes and helicopters. These generals will require power, just like China and USA generals. -This general will be able to field huge armies of infantry. Everything from toxin rebels to snipers and terrorists. All structures are stealth when built and infantry can be upgraded to become stealth. Key to success is to use the production facilities as forward defences, since they will be garrisonable. 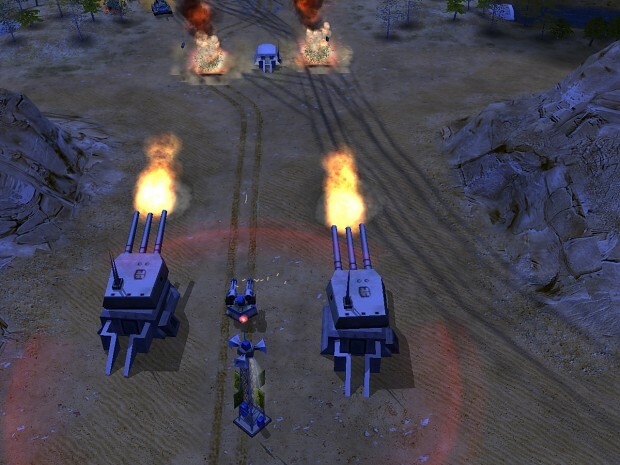 Lethal tanks expands on Zero Hour, to create a intense tank-battle focused gameplay. Artillery and aircraft are limited in number and capabilities. The teach-tree is larger and requires more effort to complete than in ZH vanilla. Furthermore, infantry has been heavily nerfed. Please help with reporting bugs and balancing suggestions. This mod has been built from Destructive Forces. So you will recognize many of the units and structures, but the gameplay should be very different. Skirmish AI is fully supported for six of the seven new generals. Campaign and Challenge mode should work fine as well. Multiplayer is supported as long as you have the same version of the game. Alright, so the mod is exactly what we expect from you. A good use of public use models, mixed with the Reborn atmosphere, plus pretty good AI. Your AI scripting skills have vastly improved, but I recommend you script the ai to build more defenses, and also to be more aggressive against enemy vehicles. Let me begin by saying I enjoy your mods immensely, I am curious as to why someone hasn't changed the drones behavior and aesthetics to become more akin to the to actual helicopter ground support for tanks ; given a group of three to five tanks receive one comanche and one apache for air to ground support. The air support only attacking in retaliation of guarded units. This also has pre-empted some thought into the ability to assign a unit to guard a unit or building (following parent unit) or seeking retaliation if (guarded building destructed) vs guarding an assigned area. Thanks for all your work on the MODS keep up the awesome work !! I hope this mod runs good destructive forces was extreamly chopy and took forever to biuld anything but that was a while ago that I downloaded it. and what is this about arcraft not able to attack tanks? You will need to build an upgrade on the jets to give them a AG bomb. But it will have no area effect, so you will be able to take out one tank with one bomb, but not like in DF where some bombs dropped from jets could take out 10 tanks. I playtested this on a three years old laptop with integrated graphics. Max graphics settings, 60 game speed and 7 AIs, no slowdown. However, I would advise against playing with many AIs on the map Twilight flame, because the AI units might get stuck (AI build a lot of units) and if that happens, game will slow down a lot. Version 1.4 is the latest version of DF. While working on Lethal Tanks I found out that I had hardcoded DF to a 30 FPS limit (instead of default 60). So that might be a factor among others... Good news, I couldn't resist to add the A-10 into this mod as well. You can build it with the USA Tech general.